At a very early age, Dr. Armel observed her father, Dr. Joe Armel of Marin County, create a cosmetic dental practice based on taking care of the patient with excellence, compassion & progressive approaches. His example inspired Dr. Rebecca to choose dentistry as her profession at age 12 and to build her practice sharing many of her father’s values. Rebecca Armel is a Bay Area native, attending Bacich, Kent Middle and Redwood High Schools. She furthered her studies at California Polytechnic State University in San Luis Obispo, and graduated in 1994 with a Bachelor of Science in Biology and a minor in Physiology. 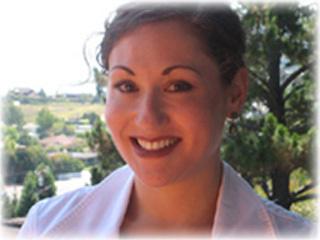 She attended the University of Pacific School of Dentisty in San Francisco and graduated in 1997. With over 20 years of dental practice experience, Dr. Armel is schooled in all facets of dentistry. She is constantly continuing her education, learning about new techniques and cutting edge procedures to offer the best quality dental care available. She is currently a member of the American Dental Association, the California Dental Association, the San Francisco Dental Society, the American Academy of Cosmetic Dentists, the California Dentist’s Guild, the American Academy of Implant Dentistry and the Union Square Association. Call (415) 421-0317 today to schedule an appointment with Dr. Armel or Request an Appointment online.